We needed something that would cover a lot of bases. 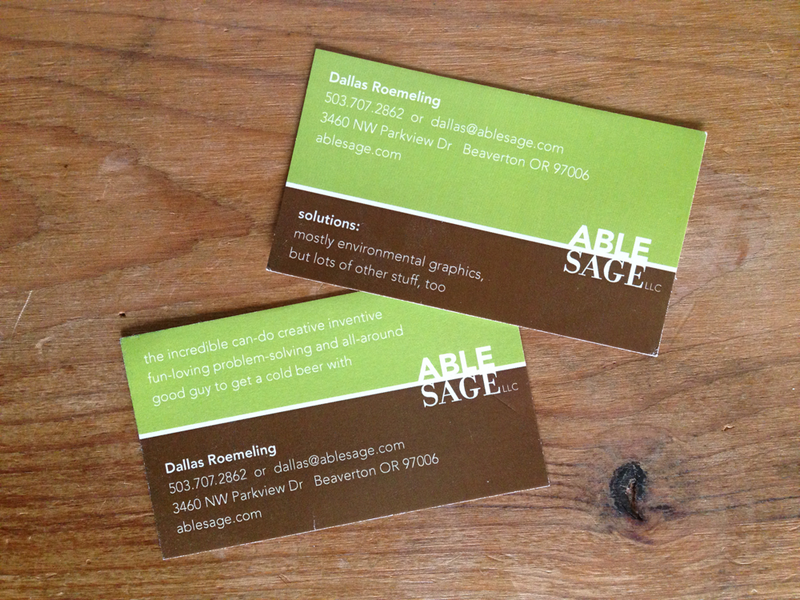 Able Sage provides a myriad of different services beyond environmental graphics, though that’s what their best known for; we wanted their business cards to reinforce the idea that they can help with lots of different graphic needs. We also wanted to speak to Dallas’s big, fun, social personality while still maintaining a professional look and feel. Tinfish offers brand strategy, writing and design, and brand stewardship services. Copyright 2017 Tinfish Initiatives. All Rights Reserved.